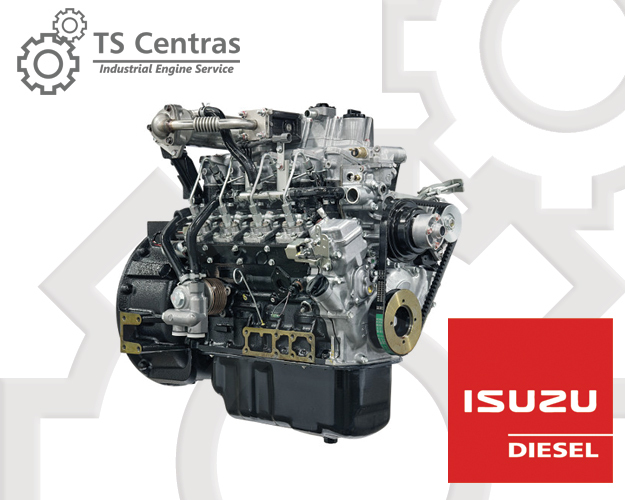 We offer original spare parts for Isuzu Diesel engines as well as new Isuzu engines. Please, inform us Isuzu engine model, serial number (consists of 6 figures), year of production and we offer you the entire list of genuine spare parts which will perfectly suit to your engine. Should you have problems with serial number identification, you may use the information concerning it at the foot of the page. Isuzu offers a wide range of diesel engines including more than 30 models with power ranging from 15 up to 300 h.p. Engines meet EPA Tier IV environment standards. A modern exhaust gas recirculation system (EGR) and precise adjustment of combustion processes make it possible to save maintenance costs and reduce environment pollutions. Generator sets for industrial and marine use. Shipping industry: sea crafts, fishing boats or yachts. The following manufacturers install Isuzu engines on their machinery: JCB, Bobcat, Case, Gehl, Hitachi, New Holland, Terex, Kobelco and etc. Note: serial number is marked on the engine on a flywheel end. Serial number consists of six figures. Engine model could be found on cylinder block of in valve cover. “*” – means any figure or letter. On the left side at the bottom of the block in the center between the engine and the place of installation of the starter. On the block right part above high pressure pump. On the front panel on the right, above the high-pressure pump and mounting bracket. On the top of the block on the front right side. In front engine part on the right side at the top of the unit, behind the front cover. On the top of the block on the front left side. On the top of the block on the back left side. At the bottom of the block on the front left side. At the bottom of the block on the right from the center side. On the top of the block, in the front right side of the first exhaust port. At the bottom of the block on left from the center side. On the right block side, behind the high pressure pump. On the top of the block on the left front side in front of high pressure pump.